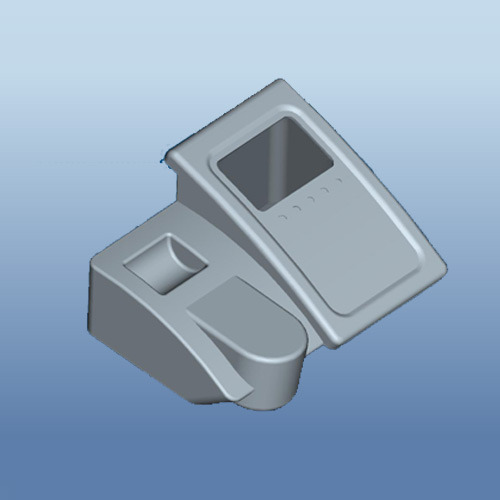 Plastics Product Design is one of our key strengths . We have sound experience & proven skills & have been serving clients from various sectors like automotive, medical devices, medical equipments, access control equipment, Lab equipments , FMCG , packaging, construction, consumer electronics , telecom & so on. Allow segmentation into simpler parts/ combination of plastic & metal components wherever it helps achieve better function/product life/economy. Appropriate interfaces to ensure intended fit/fastening. Our focus always is to design brilliant products which will delight end users with their aesthetics & functioning while also maintaining economy of development & production. With our substantial experience we can estimate any bottle necks /conflicts of form/function right at design stage & provide for solutions before spending any money on prototypes or tooling. Many of our clients come to us for an end-to-end solution from Concept to Manufacturing. We have extensive experience in post molding decorative processes like painting , printing (screen/pad) , metalizing etc. Our handled projects include No. of Packaging bottles & caps for FMCG , those for cosmetics , those for adhesives , Components for Point of Purchase Displays , Foldable packaging trays for food items, toys. At Infotrans Designs And Engineering, Mumbai, the major parts of our contracts constitute of product designing and Moulds & Moulded Parts etc. The main industries that we serve are Automobile, Aviation, Industrial appliances, Electronics (Industrial & Consumer) & even luxury consumer goods. We strictly adhere to ethical business values and this has been the main reason for our success.